This is the drive to college. That’s a full 25 hours on the road. We’re spending nights in Detroit and New York, and I’m moving in on the 28th. This’ll be the longest our family has driven since our trip to Dallas. 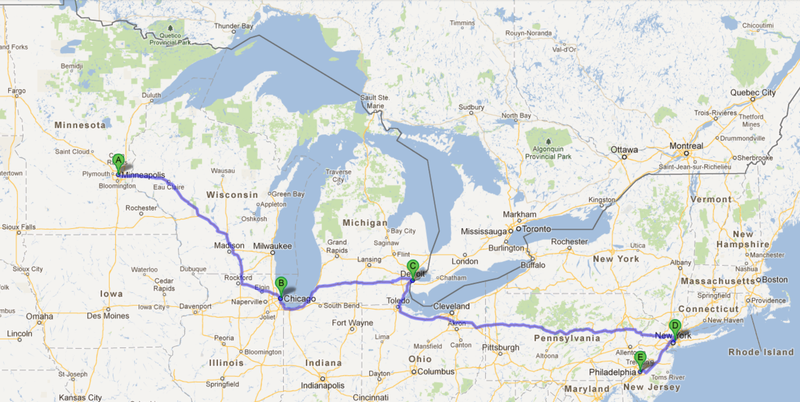 Minneapolis to Philly… my goodness, I salute you. I just feel bad for my dad, who had to do all the driving on the way back.